Hi! 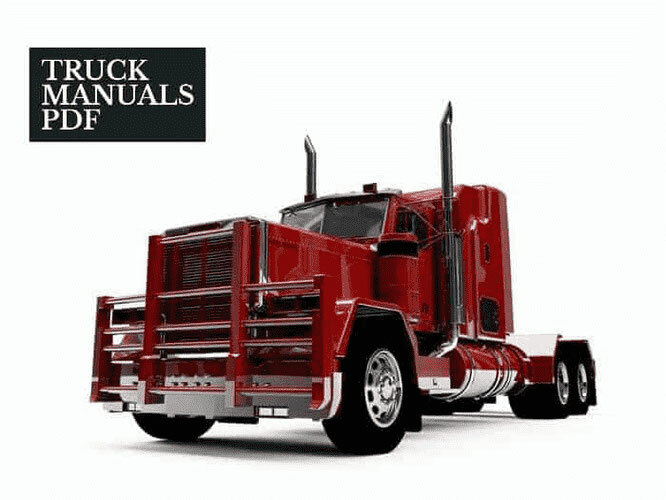 You'll find some Service, Repair and Operator Manuals PDF for repairing and maintenance of Truck, Tractor, Harvester, Forklift Trucks and other Heavy Equipment. In addition, you can see the different Wiring Circuit Diagrams, Fault Codes DTC and Parts Catalogs. These manuals are for personal use only. Thank you for visiting the site. Admin. Repair of trucks and tractors due to the characteristics of this type of equipment has its own nuances and subtleties in the repair. The article is devoted to the main features of the repair of trucks. - the need to use complex and expensive equipment for diagnostics, replacement parts and truck repairs. Obviously, the repair of trucks requires a spacious room and equipment that can withstand a large mass of trucks. In addition, the repair of trucks and tractors should be focused, that is, computer diagnostics of truck problems is a mandatory procedure. This is due to the fact that spare parts for trucks are quite expensive, so in order to save and minimize repair costs, it is necessary to clearly identify existing faults. The regularity of servicing a truck is the key to long-term operation of equipment. Often, many faults can be eliminated without resorting to costly repairs, if they are diagnosed in time. - overhaul: overhaul includes assembly and disassembly, replacement of electrical wiring, repair of undercarriage, gearbox, brake system, repair of the engine, steering, body repair, refueling of air conditioning. Overhaul includes a comprehensive procedure for the diagnosis and elimination of all faults of the vehicle. The need for regular maintenance is perhaps the distinguishing feature of truck repair. Unlike cars, trucks are operated continuously, and they carry heavy loads on roads that are far from perfect. Worn truck parts are one of the most common problems. For these purposes, use special workshop, parts & service manuals, some of them are presented on this site in PDF format. Manuals for only personal use.